SAKE, or Nihonshu as it’s known in the Land of the Rising Sun, is Japan’s de facto national drink. A long night of sake and beer drinking is an exercise in restraint and tolerance. The more you put down, the more you’ll be offered. Here are six things to keep in mind as you order. 1. Sake is low proof. Contrary to popular belief, most sakes are only about 40-proof, which renders them about half as strong as most whiskeys and vodkas. The image of the drunken Japanese businessman is not due to sake alone. It is most often drunk alongside beer, but also sometimes with plum wine or Schochu (sweet-potato-based vodka). 2. Never pour your own glass. This is considered extremely rude. Pour for your neighbors and they’ll return the favor. While your drinking mates fill your cup, hold it with both hands at the base of the glass. This is the proper way to receive sake. 3. Generally, the best sake is cold sake. Think of sake quality along a linear scope with cold being the best and most expensive, room temperature average and warm sake the lowest-quality and cheapest. Cold or chilled sake brings out the flavors allowing the drinker to fully appreciate the rich fermentation process. On the other hand, cheap sake is warmed in order to mask a less robust taste generally due to lower-quality rice and a less-refined, mass-pasteurization process. 4. Nigori Sake is unfiltered. Nigori sake leaves the grain solids that are usually removed after the fermentation process, which produces a cloudy liquor similar in appearance to milk. Ordering Nigori will instantly put you in many Japanese drinkers’ good graces as it is considered very high-quality and isn’t exported in vast quantities due to its short shelf-life and refrigeration requirements. Since it’s sweeter than filtered sakes, it’s often drunk with spicy foods or as an after-dinner drink. Remember to shake the bottle before pouring. 5. Sake bombs are an American invention. 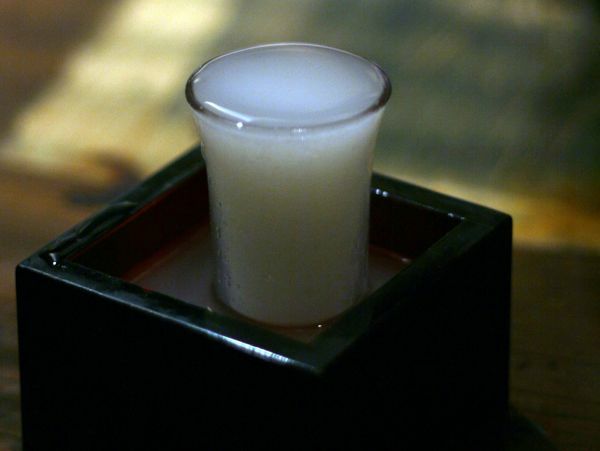 Sake bombs – when a shot of sake is poured into a glass of beer like a Boilermaker – are not a traditional means of consumption. Sake, especially good sake, should be enjoyed on its own. That said, you’ll probably find many Japanese drinkers keen to give sake bombs a go. Use cheap, warm sake. The sake-beer drunk is a smooth, disarming drunk similar to Champagne. Drink plenty of water before retiring after a sake binge because starch-based sake saps the system leaving a wicked hangover in its wake.